Love the game of Risk? Evolution has engulfed London and the people within the London boroughs demand a change. The people of London don’t want to be lied to upon anymore. So the people say it is time for Revolution. Revolution has engulfed London and a new order must be established. The course of change though never does run smooth. Three rival factions have risen with each championing their own particular cause in this new dawning of civilization. What needs to change in London? What would make our world better? What would you sacrifice in the name of your ideology? A very interactive & immersive experience. Revolution, produced by Exit Productions, is one of the main shows at this years Vaults Festival – and my is it a goodun. 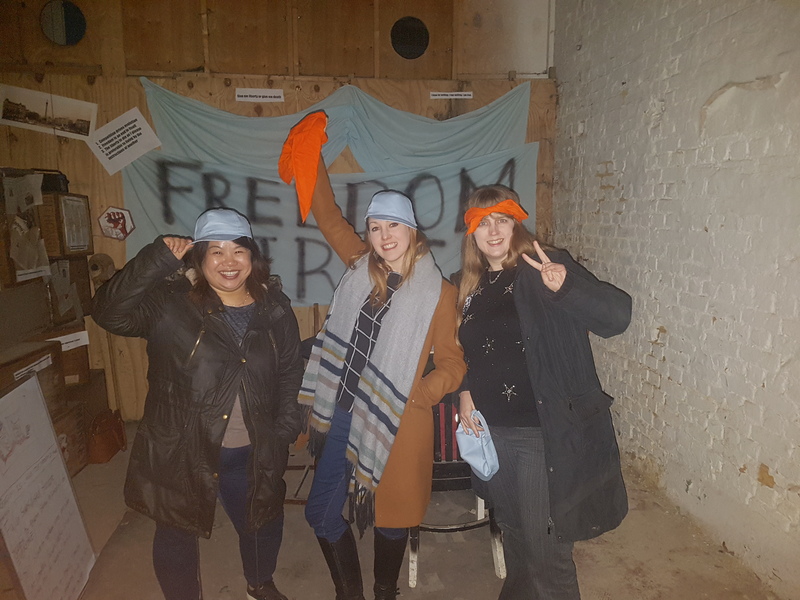 Running from 24th January to 18th March and occupying Unit 9 at the end of Leake Street the experience combines immersive theatre and gaming in the ultimate interactive strategy game where the audience act as protagonists during an uprising of London boroughs against the government. On arrival you are taken to an underground arch – the stronghold for the 3 united factions of the revolution. You are asked a question, split in to teams dependant on your answer and from there the game begins. It is somewhere in between Risk, Settlers of Catan and Monopoly where the audience must make tactical decisions on which the future of the revolution depends. The aim of the game is to overthrow the government then lead London by outmanoeuvrering the other teams on a giant map of London split in to Boroughs. A fast paced, clever game which involves teamwork and tactics! Do you believe in freedom first? Are you ready to fight in the Revolution? Want to know more? Brilliant immersive interactive theatre production. If you love Risk and competing against others then this theatre production you will love.